Officials say an engineer was found alive near the engine of the capsized vessel two days after the deadly disaster. 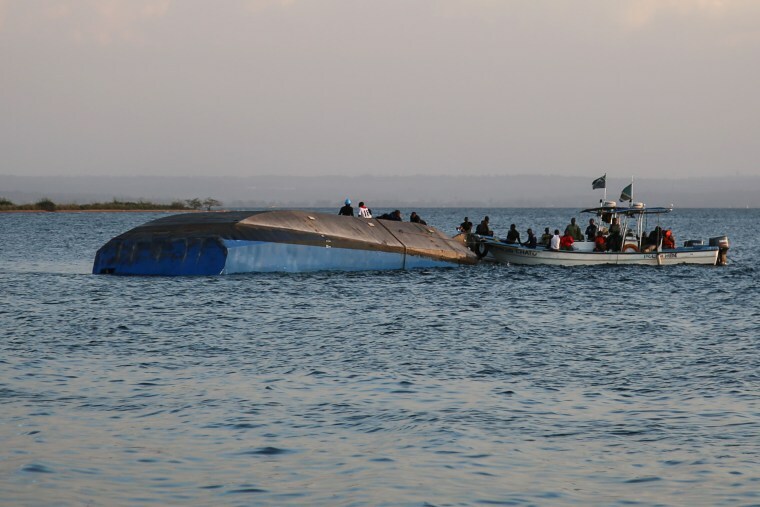 NAIROBI, Kenya — A survivor has been found inside a capsized Tanzanian ferry two days after the disaster on Lake Victoria, an official said Saturday, while coffins arrived for at least 209 victims and counting. Four navy divers resumed the search operation inside the sunken vessel early on Saturday after hearing sounds that suggested signs of life. They pulled a man out of the overturned ship and he was rushed to hospital, a Reuters witness said. His condition was not immediately known. Search efforts continued around the ferry's exposed underside as families of victims prepared to claim the dead. No one knows how many people were on board the ferry, which had a capacity of 101. Officials on Friday said at least 40 people had been rescued. The government's Chief Secretary John Kijazi announced the rising death toll to reporters after President John Magufuli ordered the arrests of those responsible. "This is a great disaster for our nation," Magufuli said, announcing four days of national mourning.